The project mirrors the prolific dôjin (amateur) Japanese scene and we made our game always with this specific creative context in mind. For the game design, our main goals were to mix the manic shooter subgenre with original and challenging mechanics that could be seen during the NEC PC-Engine/Super Famicom era. Since we enjoy games that are well balanced and that rely mostly on skills, we decided to remove any form of power-ups in order to obtain a precise and demanding game design that values our gameplay mechanics. 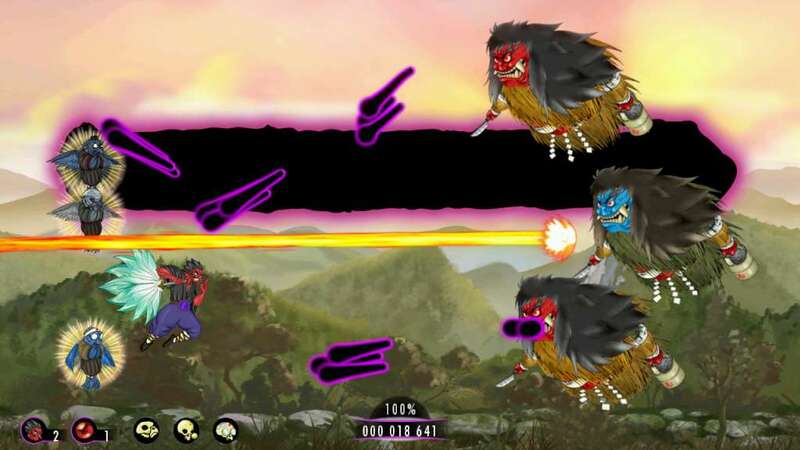 The gameplay introduces challenging mechanics such as bullet counter (directly inspired from SFIII: Third Strike) and blast pods represented by your 3 Karasu-Tengu partners. In that sense, the “counter” mechanic is the more original feature of the game as it breaks the dodge’nd shoot routine common to the shoot’em up genre and let us experiment with new rhythm and bullet patterns. The feeling of danger/courage the player gets when confronting a bullet is the gamer’s rush we are looking for in our design. Nandeyanen!? is played like a regular horizontal shoot’em up except for some subtle mechanics that we try to force the player to learn little by little in order to progress. As there are no power-ups, the standard shoot is not upgradable but the button can be pressed continuously. The “Bomb” button deals no damage to the enemies but draws the bullets away and makes Tenguman invincible for a short while. Pressing on the “Pod” button will place one of three “Mini-Tengu” that will release a heavy damaging violet beam after 3 seconds. The three “Mini-Tengu” appear on the HUD and recharge after 2 seconds each and 10 seconds when all used quickly. Holding the “Pod” button will deploy an aura around Tenguman. Every bullet that enters inside this aura can be countered by tapping forward. Releasing the “Pod” button after 3 seconds will make Tenguman shoot a violet beam himself. Some enemies will come equipped with either a yellow or a blue shield. The blue shields are broken using countered bullets and the yellow shields with a violet beam released by Tenguman or his little acolytes. 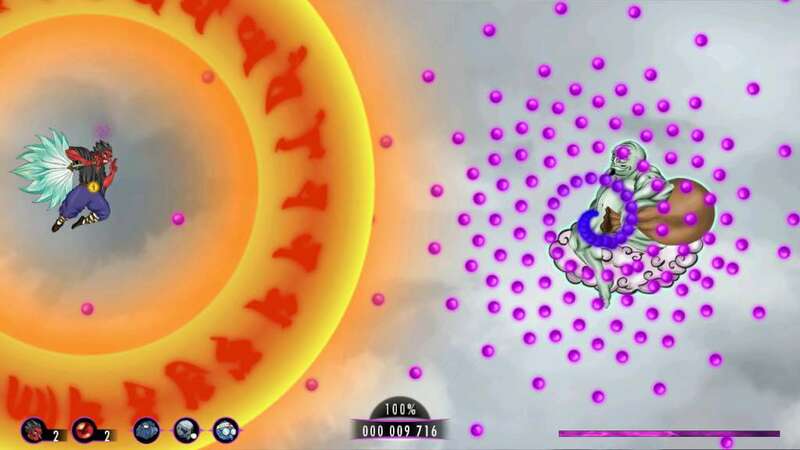 In each level there are five “Siddham drops” hidden in enemies that when collected will make Tenguman do an extremely powerful shot against the boss. 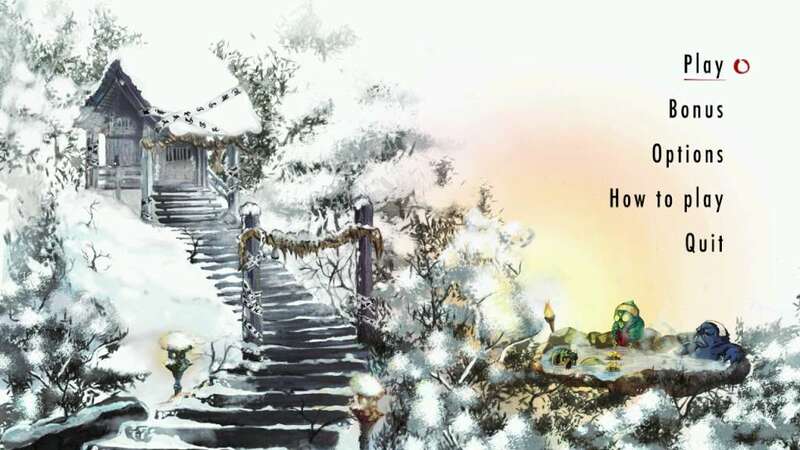 We strongly recommend you to play with a gamepad or an arcade stick (Xbox360 gamepad/arcade stick are supported).